Corbett Kalama, who was born in Honolulu, is the vice president of real estate investments and community affairs with the Harry and Jeanette Weinberg Foundation. He recently retired as an executive vice president from First Hawaiian Bank, where he was responsible for the Oahu region. 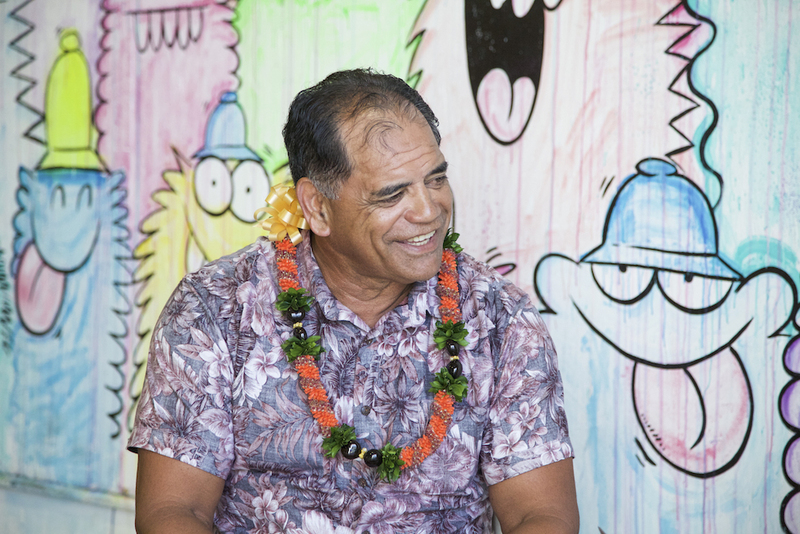 Before participating in a discussion on what Hawaii can teach America about race, Kalama talked about naming a boat after his mother, his greatest extravagance, and the ugliest tie he owns. What is the last habit you tried to kick? If you could only take one more journey, where would you go? I’d stay here in Hawaii. Do you have a boat? If you do, what is it called? I have many boats. [My favorite name for one is] Kekauilani. The woman from heaven. That’s my mom. Where do you take out-of-town guests when they come to Hawaii? To Kailua Beach. I grew up there. What magazines and newspapers do you currently read? I read the local newspaper, The Wall Street Journal, Forbes, Sports Illustrated. What does it take to get you on a dance floor? What’s the ugliest tie you own? It’s pink, red, black, and orange. It’s a Halloween tie. Everything. A place of freedom, a place of choice, a place of opportunity.